House Intelligence Committee Chairman joined Maria Bartiromo on Sunday Morning Futures to discuss Mueller’s junk indictments on Friday.Rep. Nunes told Maria Bartiromo every bit of the Mueller Special Counsel indictments were already published by the House Intelligence Committee in April. Dirty cop Robert Mueller indicted 12 more Russians on Friday in his ongoing witch hunt to discredit and bring down the Trump administration in a phony collusion scandal. 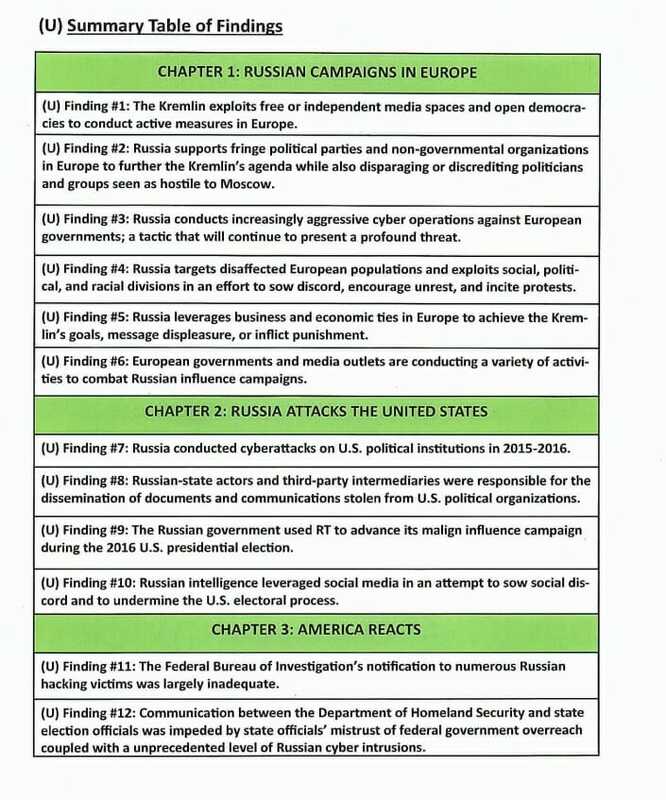 It now appears that all of this new and urgent information released by dirty cop Rod Rosenstein on Friday was already published months ago in the House Intel report on Russian active measures released by Rep. Devin Nunes. 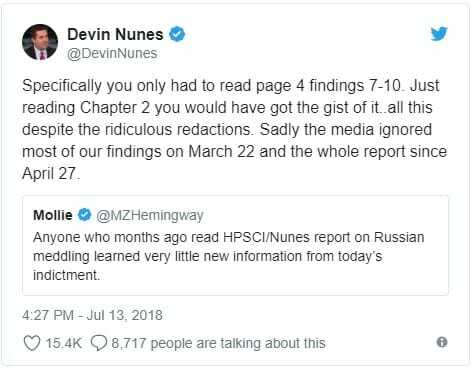 Rep. Devin Nunes (R-CA) tweeted this out on Friday. 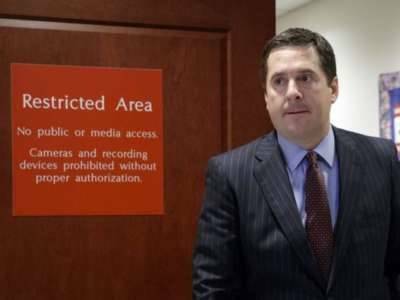 Devin Nunes tweeted out on Friday that his House Intel panel report on Russian active measures uncovered everything in the latest Mueller Russia indictments. Again — the full House Intel report is here and includes all of the details from Rosenstein’s urgent press conference on Friday. Rosenstein interrupted President Trump’s foreign trip to drop this information that was PREVIOUSLY RELEASED by the House Intelligence Committee. Rep. Nunes told Maria Bartiromo Mueller and Rosenstein left out the fact that the Russians also targeted the Republican Party in their report.